To fully appreciate the many battles of Admiral Yi, it is important to understand the fundemental difference in equipment and doctrine between the Koreans and the Japanese, it's also one of the main reasons why Yi was able to win repeatedly against numerically superior foes with such small losses. 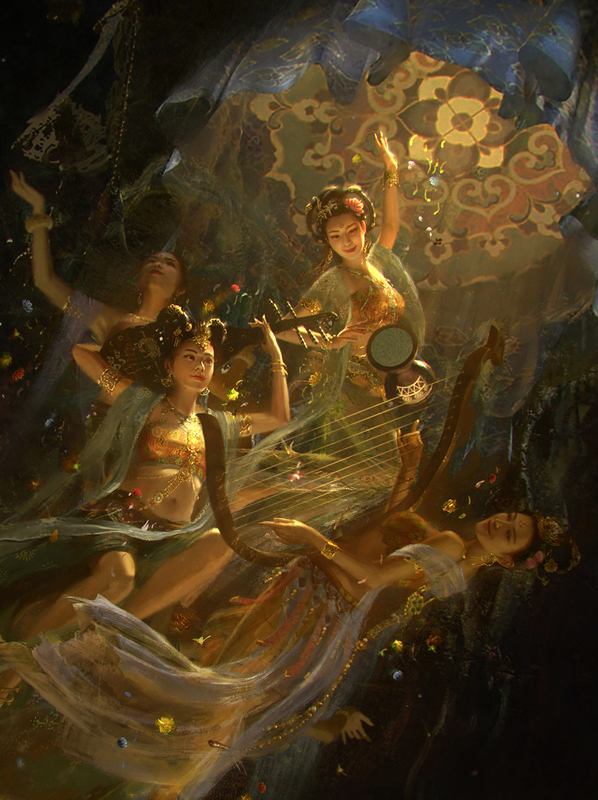 Where as the Japanese dominated over land because of practice and experience, in the area of naval expertise the Koreans dominated because of repetition and practice as well. As Korea had a long history fighting the Wokou pirates from Japan, the century- old threats posed by them has led to shipbuilding techniques in Korea that maximized their homefield advantages~ all of these factors would leads to conditions that benefited Yi's own brand of warfare. 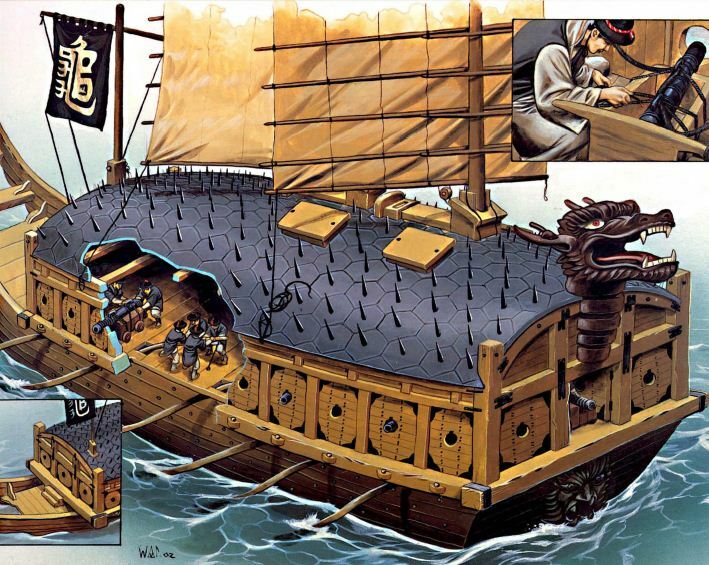 As most of the Korean coast consisted of shallow water, and most of these Wokou pirates preferred (just like the Japanese of Yi's time) to board the enemy's craft for their preferred form of melee combat~ The Koreans did their utmost in designing ships that denied them just that. To be able to quickly navigate through their (mostly shallow) straits, the Koreans flattened out their ships bottoms. This- like you might have guessed, slowed the maxim speed of the ship, but with sufficient rowers, and complimented with sails, still allowed the Koreans to go anywhere and fight anywhere~ so long they know where to deploy beforehand. Comparatively, the Japanese ships were designed with V bottoms, as most of the coasts around Japan have deeper drafts. This fundamental difference would have great consequences. With the V bottoms, the Japanese ships are much faster than their Korean counterparts, but by the same token, this construction also incurred greater penalties in terms of maneuverability. You can try with wooden boats at home if you preferred: for the V bottoms, whenever turning would occur, one side of the water will cause great resistance because natural flow was blocked by the V's angular bottom~ thus the Japanese ships will have a much, much greater turning radius. Meanwhile, because of the flat bottoms, the Koreans could turn completely 180 degrees just by the oars, when you combine this turning advantage with the cannons they are armed with, you can see how a whole side could fire, then turn 180 degree and let the other side fire, now think 10-20 ships doing this all together. with cannons (only bomb harpoons) and steadily relied on musket fire and boarding parties. tall hulls which allowed for cannon to fire down and bombard from a distance. 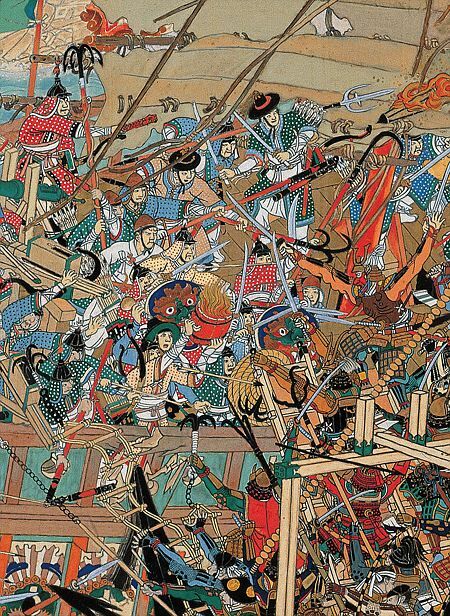 For Japan, naval conflicts in the Sengoku era was largely still a series of land styled boarding actions~ at sea, Even in famous samurai naval engagements like Kizugawaguichi between the Mori and the Oda, they still preferred to use musketry and landing parties. 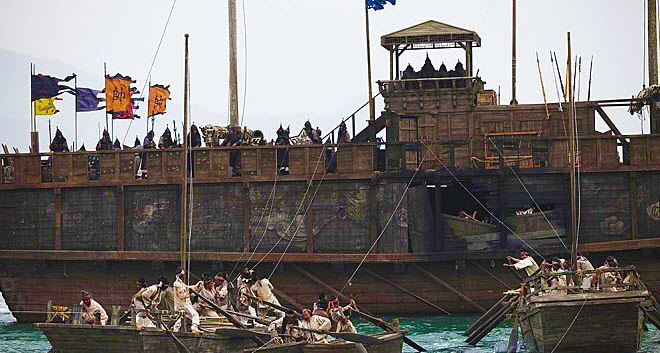 Their biggest ships maybe tall, but you can consider them to be a large floating castles filled with levels of musketeers. 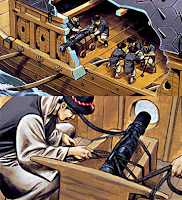 Compared to the Korean ships, who had cannons that can tear through hulls from long distances, Japan only fielded minute numbers of bomb harpoons~ basically a gunpowder ballista that only caused surface explosions once they were lodged on the enemy's side. 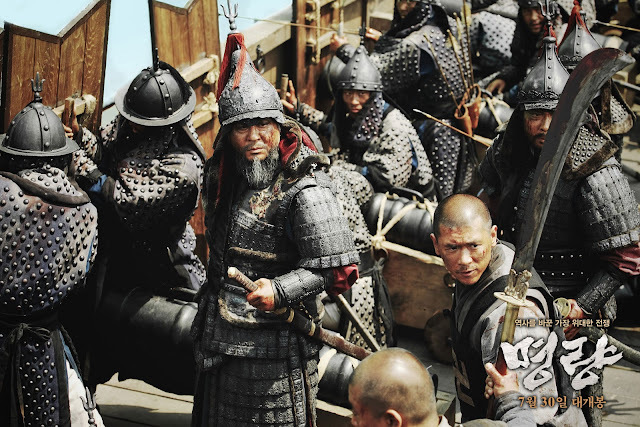 By their doctrine, winning equals how many of the enemy men are slain and how many enemy ships are captured. For the Koreans, the opposite rings true: to win, they'd destroy enemy ships and thus negate all the threat a landing party posed. 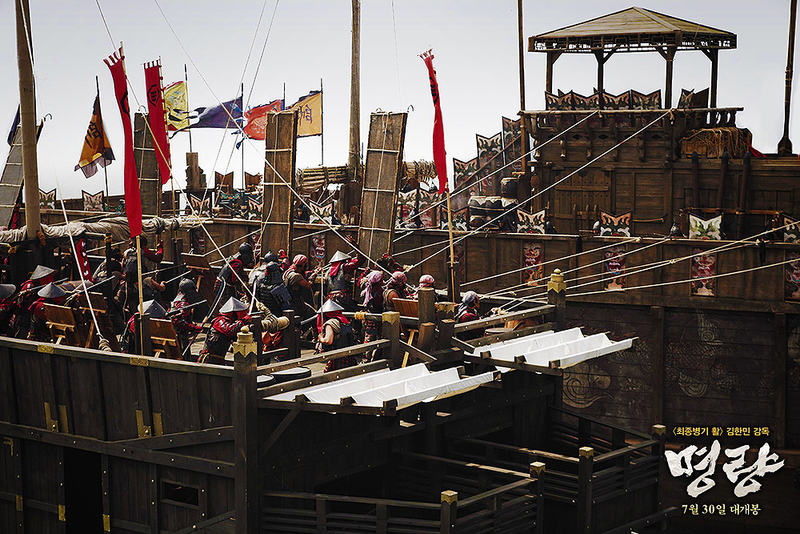 They too built giant floating castles called panokseons, but ones that are taller, and what's more important, ones that maximized their cannon fire. 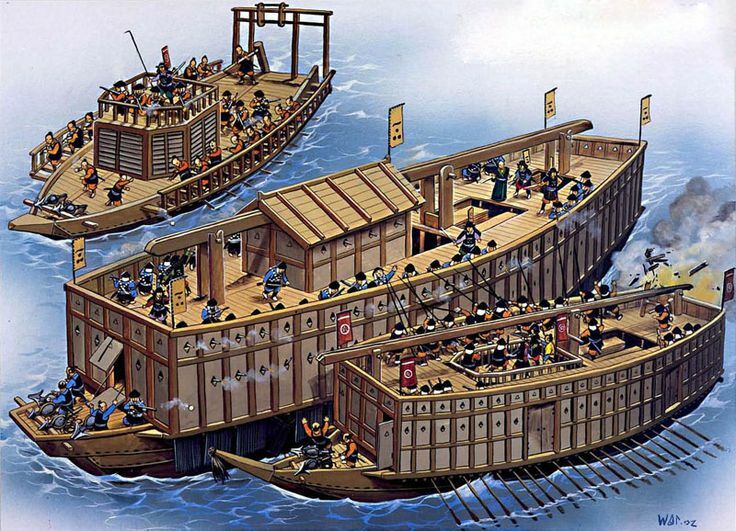 A Japanese "bune" pulling up to a Korean "panokseon" on the right, note the height advantage posed by the panokseon, also note the saturation of the upperdeck with cannon holes. These core Korean fighting ships are taller than the standard Japanese ships and were armed with cannons on all sides. This would mean they can freely bombard the Japanese fleet outside the bomb harpoon/ musket range, and should the foes approach it would be tremendously difficult for the Japanese to climb up (defender's advantage)~ also, if the Japanese would come too close, they would risk the possibility of grapeshot fire (like a medieval shotgun blast) from the Korean cannons. The threat range for the Korean ships was thus both far and near~ and because of their their diverse armament were extremely hard to take. Lastly the comparisons came the hulls. 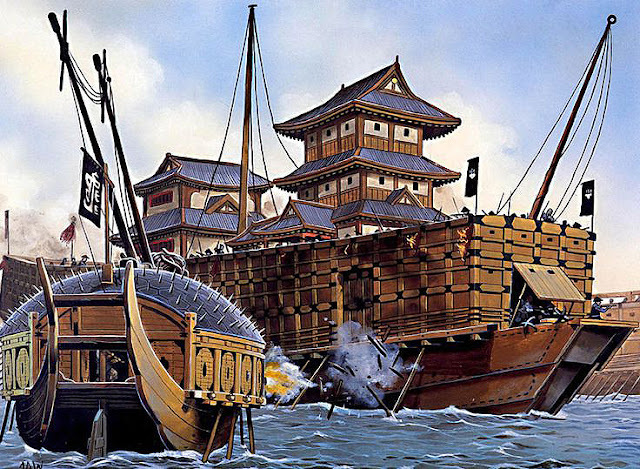 Since most of Japan's naval warfare had been involved in fighting each other for the last 130 years, and thus only an occasional fare, emphasis in shipbuilding has not been around making them as sturdy as possible. They were expertly build of course, with some command ships amounting to the size of 7 story tall castles (actual castles) and decorated as such with white plaster and roof paint. Despite such mammoth proportions, emphasis was still placed on~ 1. maximizing musket fire, and 2. getting the troops to where they are needed. By contrast, the Koreans had built their halls with sturdy pine and reinforced with nail and iron plates. 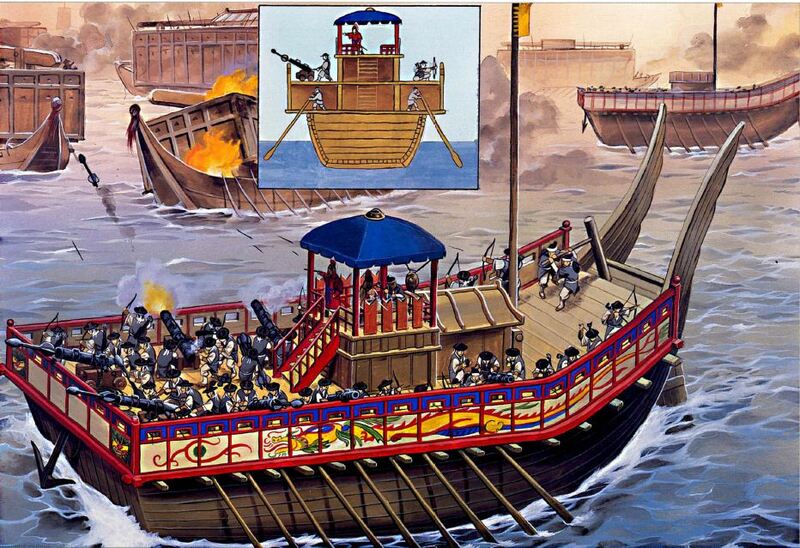 Compared with the Japanese oarsmen~ who shared their compartments with the musketeers and the fighting troops. Most of the Korean oarsmen were safely tucked away and isolated in the boxed hulls. This would also mean that the majority of the Korean fighting troops were positioned together on the raised decks where they could rake down upon the Japanese ships with arrow and cannon fire. Appropriately, the entire fighting doctrine of the two forces are largely represented by their differences in ship design. The Japanese navy are favorable on the open (deep) water, where their fast ships could strike freely~ could board ships freely and even when situation become favorable would have no impediments to detach, maneuver in large arcs and sail away. While the Korean navy are favorable in the labyrinthine shallow coasts of Korea, where many of the small islands formed "passes" that channeled Japanese attack from preordained directions, where they couldn't maneuver, could not fire back with their weapons, could not board, and lastly could not retreat because they are bunched up all while the Koreans unloaded shots after shots from a safe distance. 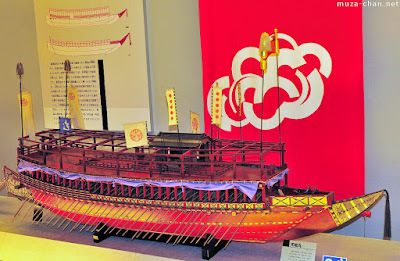 However, this is only limited to battles between the bunes and the panokseons, with the turtle ships, wihich were personally designed by Admiral Yi himself- the Koreans were able to have the best of both worlds. The crews of these ships were completely boarded up within the safety of its sturdy hulls and could shoot out cannon with impunity. 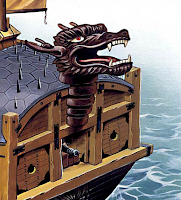 In areas where the Japanese could erect taller ships that are suited for easier boarding, the turtle ships utterly neglected the dangers posed by boarding parties due to its spiked iron roof. 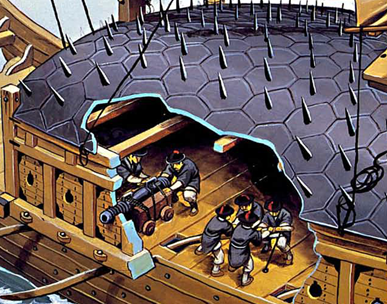 The turtle ships also took advantage of the foe's mass~ as bigger targets tends to be more prone to be struck by cannon fire. 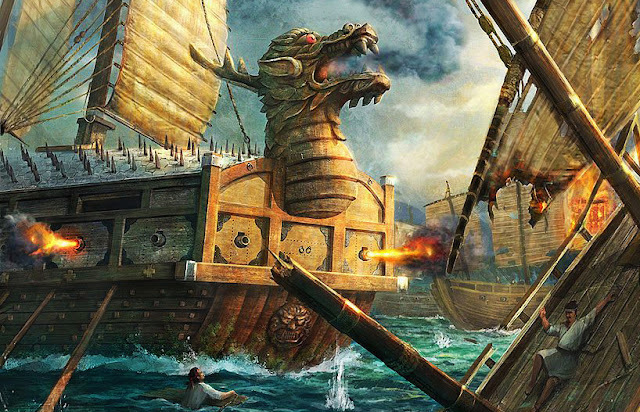 All of these factors, the flat, quick-turning bottoms, the cannon filled decks, and the sturdy hull would be used to expert effect by Yi through out the Imjin War, even when out numbered in odds of 10 to 1 that made him an immortal figure in Asia's military traditions. Nice article. Would want to mention one thing you didn't. 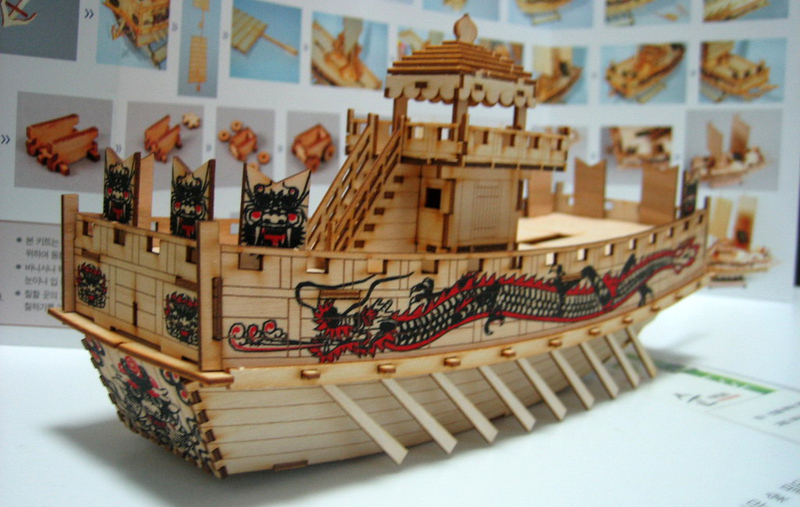 Korean and Japanese ships were made of fundamentally different types of wood too. 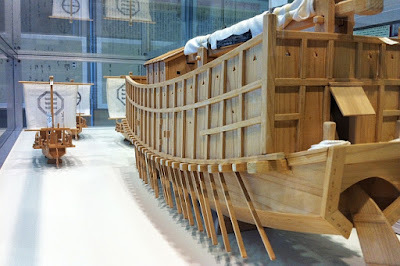 Korean ships were made of pine, as you mentioned. 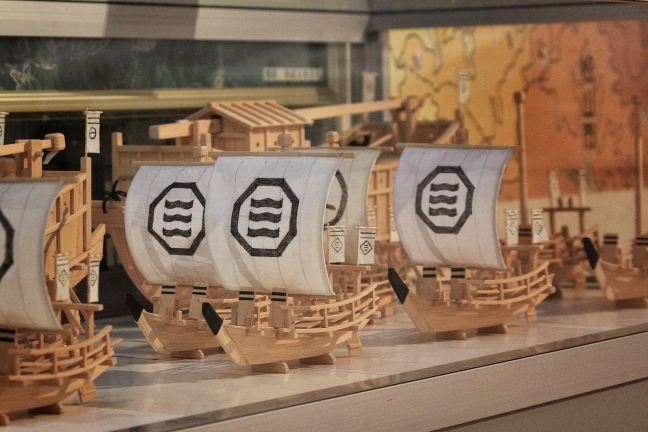 In contrast Japanese ships were made of cedar. Pine is an oily wood that has thick knots in it, thus must be cut thickly. 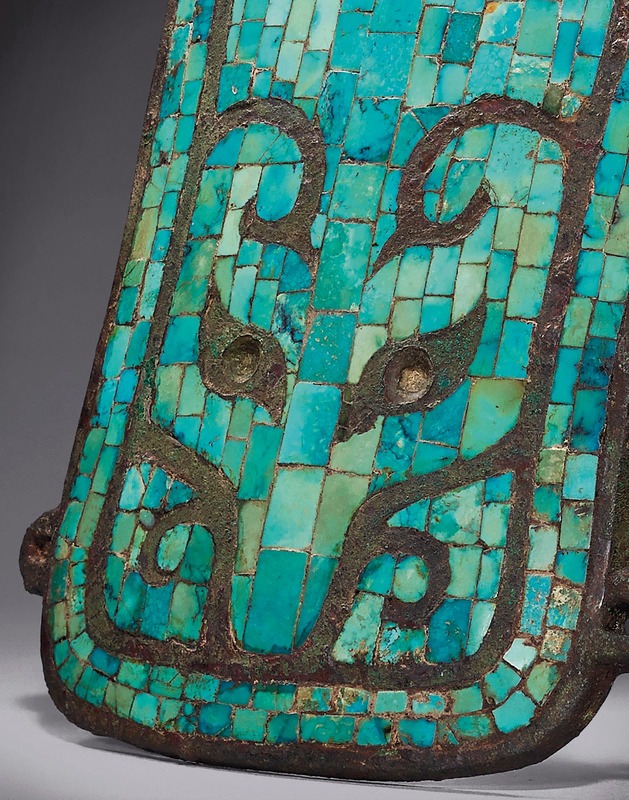 This meant that Koreans ships had thicker sides that were pretty much bullet proof. Japanese cedar could be cut much more thinly, but made them quite brittle to Korean cannon fire. 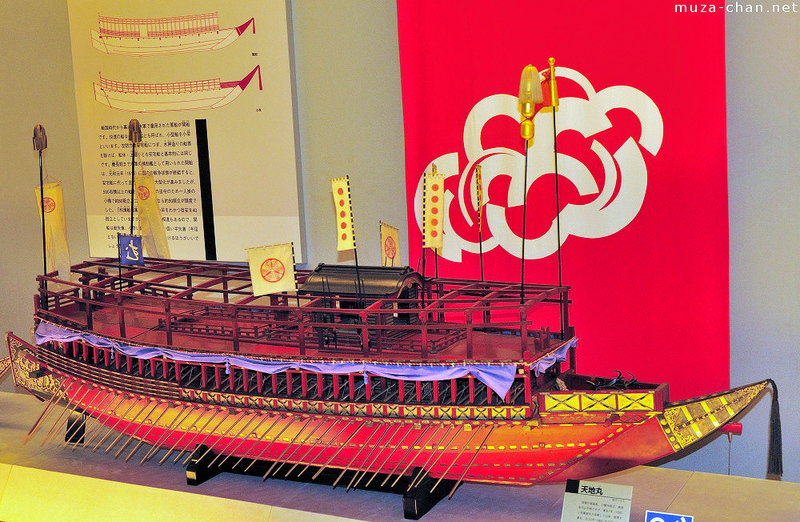 Lastly, Korean ships were put together using oak and bamboo pegs and wooden indentions whereas Japanese ships used iron nails. Salt water corrodes iron so Japan ships got weaker over time. 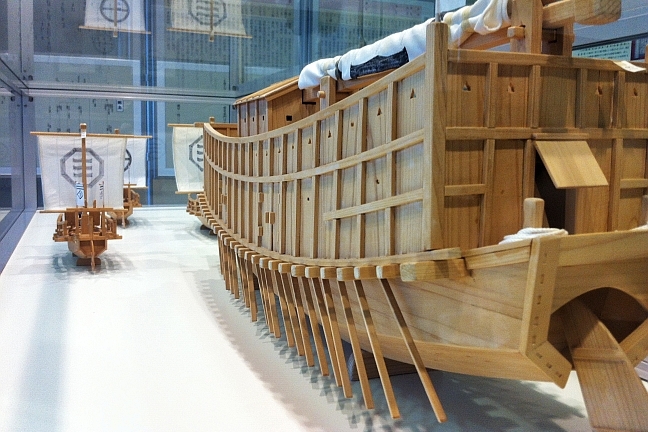 Salt water expands wood pegs, thus making Korean ships stronger over time. Very good addition sir. I've read up on those details as well, but have not done enough cross research to give me the confidence to definitively state them in the ^ blog. Which~ on the subject, thanks for leaving this bit of additional information here. On the side note, I find it rather interesting that these minute fundamental differences made the Korean fleet that much of floating battery fortresses- and of all the commanders these ships could be commanded by- it was left in the hand of a veritable naval Sea God. Luck draw of the century for the Koreans.